Ukraine’s eastern Donbas region is one of the most heavily industrialised areas on Earth. With a 200 year history of coal mining and heavy industry, the conflict there has already led to widespread groundwater contamination from flooded mines, while the ongoing fighting risks triggering a chemical emergency with a number of sensitive facilities close to the line of contact. With political will, dialogue over common environmental threats could be a source of cooperation between parties. A brief introductory overview of the environmental dimensions of the conflict in Ukraine’s Donbas region, with facts, figures and further reading. Since 2015, a number of different actors have published data on the environmental impact of the conflict in Ukraine. Doug Weir and Nickolai Denisov take a look at the different methodologies that have been used to monitor environmental harm, their findings, and what the studies tell us about how monitoring could be improved. With the Ukraine conflict’s environment risks again in the news, Zoï Environment Network has released new maps on the environmental consequences of the conflict. Both sides are increasingly conscious of the humanitarian and ecological impact of the war and plans to minimise risks and encourage sustainable reconstruction are being promoted. But without a comprehensive assessment of the damage, such proposals are of limited value. The environmental costs of the ongoing Ukraine conflict are still to be fully quantified but an EU-UN-World Bank needs assessment has called for US$30m to fund urgent environmental recovery over the next two years. With UNEP still unable to assess or begin restoring the damage on the ground due to insecurity, this sum, which already far exceeds that for UXO management is only likely to grow. Early indications suggest that the conflict in Ukraine’s Donbas region has resulted in a number of civilian health risks, and potentially long-term damage to its environment. In order to mitigate these long-term risks, international and domestic agencies will have to find ways to coordinate their efforts on documenting, assessing and addressing the damage. Map showing hazardous industries and mined areas in the Donbas #Ukraine. By @Ricccarto and featuring data from @ZoiEnvironment and others. 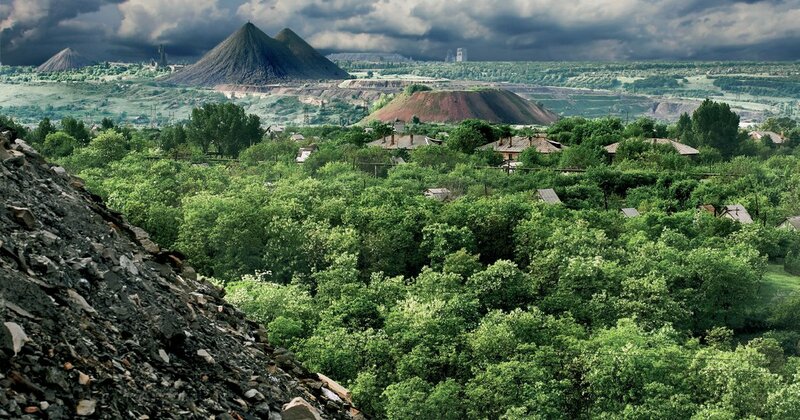 Le Donbass, terrain miné. Depuis 5 ans, la guerre entre l'armée ukrainienne et les forces séparatistes appuyées par la Russie a fait plus de 13000 morts. Comment la ligne de front est devenue une frontière. Découvrez notre cartographie dans @lemondefr en kiosque ce samedi. This report provides an overview of OSCE SMM-facilitation and monitoring of infrastructure repair and maintenance in eastern Ukraine (January 2017 – August 2018). Conflicts like the ones in the Ukraine, Iraq, and Syria show how wartime damage to the environment can have long-term consequences for countries as they seek to recover. A recurring theme in the conversations is that the problem with the environment was that once it would go wrong, it would go wrong in a very destructive way. The publication “Environmental Assessment and Recovery Priorities for Eastern Ukraine” incorporates existing information from various sources on impact and threats to the environment posed by a conflict in Eastern Ukraine. The armed conflict in eastern Ukraine has not only led to heavy casualties, but also caused significant damage to ecosystems and natural resources as a result of the violation of international principles of and national law. UN experts on human rights and hazardous substances, and safe drinking water and sanitation, raise concerns over the potential risks from damage to water infrastructure in the Donbas region. The then Austrian Foreign Minister and Chair of the OSCE Sebastian Kurz on the environmental risks being created by the conflict in Ukraine. Large-scale heavy industry in the Donbas region adds to the risks posed to civilians through the risk of environmental pollution and related health issues. This article focuses on the often overlooked, or at minimum under-reported, risks of the impact of the conflict on the environment. A steady uptick in shelling along front lines in eastern Ukraine is threatening numerous industrial facilities that, if damaged, could trigger severe environmental and humanitarian consequences, according to a new report by an environmental nonprofit organization. Water filtration plants in Ukraine have been repeatedly damaged by shelling. How big a risk does the chlorine gas stored at these sites present? This article analyses the factors influencing the conservation status of protected areas in Ukraine caused by the unstable political situation in the country in the years 2014‐2016, including military action and occupation of the eastern part of Ukraine by Russian troops, and annexation of the Crimean Peninsula and increasing military activity of the Armed Forces of Ukraine. This report examines how the right to an adequate standard of living has been affected by the conduct of hostilities, particularly access to sufficient, safe, acceptable and affordable water for personal and domestic use. This study found that the conflict had exacerbated existing pollution in the Donbas region and caused further environmental damage and loss. Report by the Ukrainian NGO Environment People Law which was one of the first to raise the alarm about the environmental consequences of the conflict in eastern Ukraine.